Simply better control. Logitech Harmony 350 gives you better control of what’s attached to your TV—and makes juggling multiple remote controls a thing of the past. Now you can control up to eight different home entertainment devices with one simple-to-set-up and easy-to-use remote control. Plus, Harmony supports 225,000+ devices, so you’ll have the control you need—today and tomorrow. Harmony 350 eliminates all the clutter and complications of using multiple remotes for different devices. Streamline control of your TV, cable/satellite box, DVR, Blu-ray player and more with one easy-to-use Harmony Control. Individually sculpted buttons in logical zones make it easy for everyone in the house to access guides, menus, recorded programs, volume, playback and more. One button automatically turns on both your TV and cable/satellite box with just the right settings. So you can quickly change channels on your cable box and volume on your TV without having to switch remotes or settings. Harmony’s ever-growing online database of commands and settings supports 5,000+ brands and over 225,000 devices—including ones you own today or add tomorrow. IR codes for your devices are just the start. Harmony’s database also adds power-on sequencing, timing and even discrete manufacturer commands. Personalize your Harmony Control with easy-to-program buttons that let you quickly jump right to any of your 5 channel Favorites. You’ll enjoy better control in just a few minutes. Simply connect your remote to your Internet-connected computer, go to setup. myharmony. com, and download the commands for your devices. If you have any questions, live customer support is ready to help. 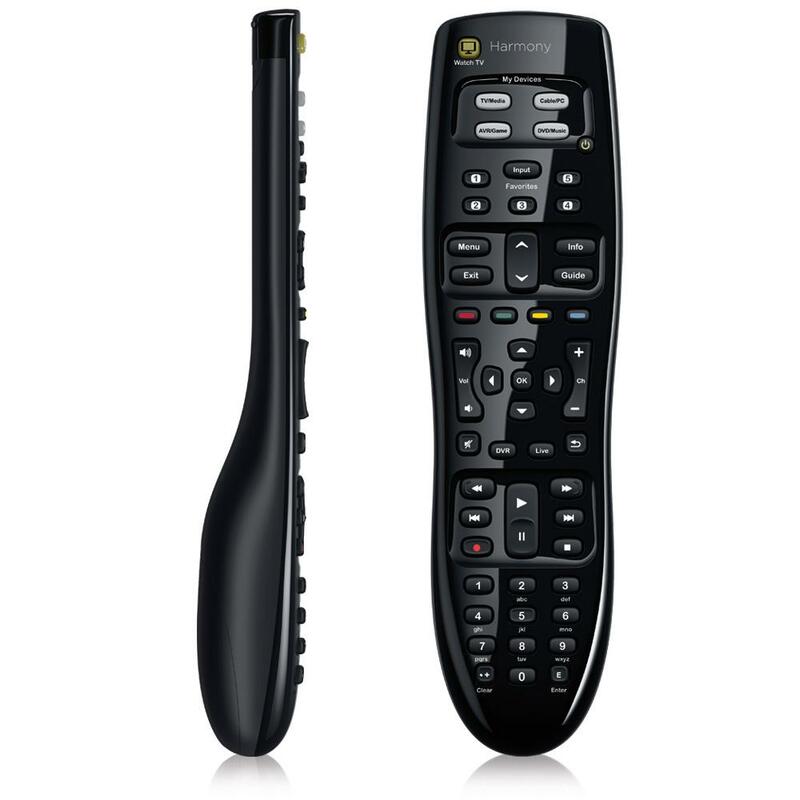 Click the button below to add the Logitech Harmony 350 Universal Remote up to 8 Devices to your wish list.